Very nice people. Zero pressure. 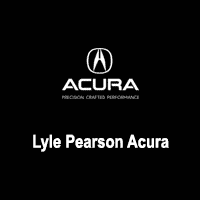 I want to give a huge shout out to Kent Byington and the great service department at Lyle Pearson Acura in Boise. My husband and I recently bought an Acura in Utah and we had a couple minor issues. We live closer to Boise and while it completely wasn't Lyle Pearson's job to take care of us they did. They went above and beyond to help coordinate with the dealer we purchased from and fixed the issue we were having. Outstanding team and service!! Thank you Kent and crew!! You get what you pay for. If you want to shop here, be prepared to pay. Transmission went out on my TL 11 months after buying and they would do nothing to assist.Update 4/12/2019: increasing from three to four stars. The initial review is based on my experience and frustration from the purchase and transmission issues of my 2001 TL. After posting the review, I received a call from upper management to get details on the circumstances of the review. This is not something I expected and it shows they are attempting to change the perception of the organization. I recently saw a reasonable priced TL and stopped in to take the car for a test drive, it was a pleasant experience and no pressure. We weren't able to make a deal, but it helped my perception. The service department is helpful and is willing to lookup the maintenance history of vehicles for sale. Always ready to take care of all your vehicle needs. Excellent customer service. Thanks, Rich! Excellent service, very kind staff. A great experience! The whole experience buying my first car was spectacular! Great staff, very friendly, helpful, and welcoming. Thank you Richard N. For helping me through everything! Super nice guy and he knows his stuff! I 100% recommend him! He’s great!